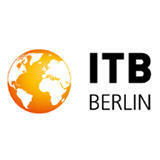 "The World's Leading Travel Trade Show"
ITB Berlin is the foremost business platform for global touristic offers. This is where companies and organizations meet, as well as top decision-makers, experts, buyers and young professionals from every touristic area: Hotels, tourism organizations, tour operators, travel agencies, transport companies, booking portals, systems providers and all the others. would be good if you could provide high speed everywhere, to make the business much easier. Everything was at a high level. Very useful dating, new business connections. Less exhibitors in the relevant field of Tourism Industries. Hall arrangements were less attractive. Over 11163 exhibitors from more than 180 countries are expected to be the ITB Berlin, who wants to generate business and promote their image among the well targeted buyers. Tourist organizations, traffic carrier, tour operator, hotel business, research institute, educational institution, tourism associations and institutions, travel technology, information and reservation systems, travel agency, business travel, publisher, press and telecommunications are present at the show. 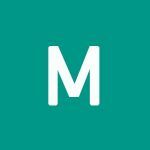 Covering a huge exhibition area of about 160000 meter square, with numerous exhibition booths, this event helps the exhibiting companies to showcase their products with convenience and promote their brand extensively.